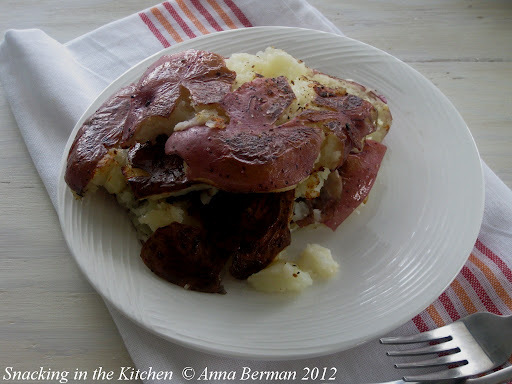 Because there are never enough ways to cook potatoes, I wanted to share with you this recipe for Smashed Red Skinned Potatoes. I prepared these to go along with the Seared Halibut with Tomatoes and Capers. Trust me though, you would be happy with a plate of these crunchy-on-the-outside, tender-on-the-inside potatoes on their own — perhaps with a sprinkling of sea salt and coarsely ground pepper. For best results, use small, new potatoes – they will cook up quickly, smash nicely into a perfect portion size and look beautiful on the plate all at the same time. Before you start, you might want to invest in a cast iron skillet, fish spatula and a meat tenderizer! 1. 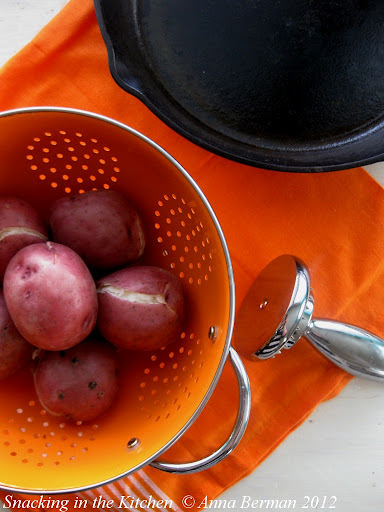 Place potatoes into a pot and cover with cold water; salt. 2. Bring the water to a boil; lower heat and simmer potatoes until tender. 3. Drain potatoes and cool completely. 4. 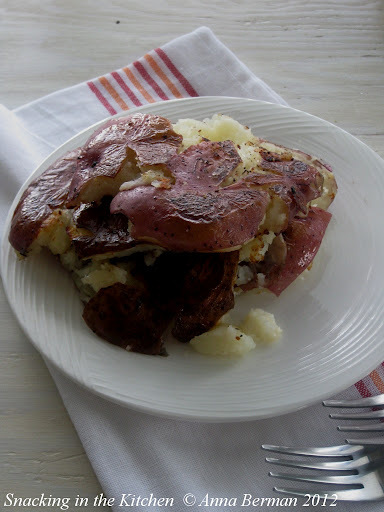 Smash potatoes using a meat tenderizer or any other flat heavy utensil you might have on hand. 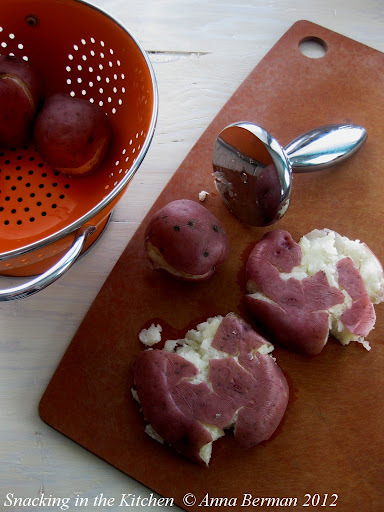 Be careful not to break apart potatoes completely – you want them to hold together and be approximately 1/2-inch thick. 5. Heat olive oil in a cast iron skillet over medium-high heat. 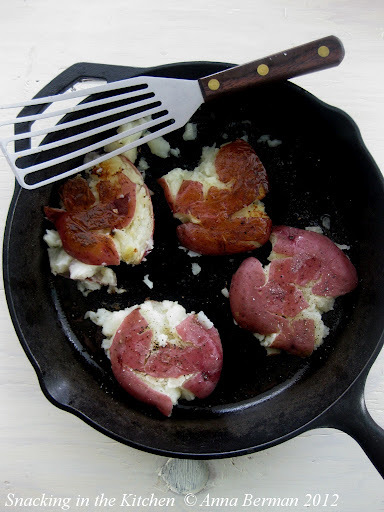 Cook potatoes 3-4 minutes per side, or until crisp and heated through. 6. Season with extra salt and freshly ground pepper; eat immediately.